Jacob sat at the porch table, lunching on a tomato sandwich, and stared through the rusty screen door at June-bug. Carefully, tenderly, June-bug whipped the axe through the air and divided a log of oak into two exact portions. He seemed to sigh as the log was cleaved. The empty pitch of cracking wood echoed off the pecan tree. As long as Jacob could recall, he woke in the morning to the comforting rhythm of June-Bug splitting that wood. And when the late evening came, the sun had long gone, and Jacob was ordered to bed, June-Bug was steadily slinging that axe. He hummed hymns to himself in the fading copper light, interminably chopping and pausing only to whip the axe with the hymn in a singsong manner. The hymns were not familiar but had a sad rhythm that wafted into Jacob’s room through the window. In all Jacob’s fifteen years in this house, he had always considered that the sun and the moon rose and fell according to June-Bug’s song. Jacob had but few occasions to speak to June-bug over the years—mostly just relaying instructions from his father. June-bug was a quiet man–just a Yessir or Nossir sufficed. But June-Bug was a part of Jake’s life as was all the black folks that circled and padded through this house and on this property. The colored help was just another part of the family, Jacob believed, and therefore a permanent fixture of his small life. June-bug was a silent, lonesome enigma that toiled endlessly, year after year, on the long lawn that stretched outside the house. The sheer longevity of June-Bug’s presence was important enough to Jacob’s life as to consider him extended family. But June-Bug was treated differently. While the white folks ate their meals inside and the rest of the help sat at their table outside, June-bug sat alone on a stump, eating slowly, deliberately, all the while staring at his pile of wood. All the black folks ate outside, given the state of the weather. Jacob had pressed his ear to the window screen many times and spied upon their conversations. They talked of church and children and whispered about the silliness of the white folks for whom they toiled. Depending on the day or what work was to be done, various colored and white characters ate at that table. It was an ordinary picnic table with a plastic cover and as clean as the inside formal dining room. Miss Pearl made sure of that. When it was raining or too cold, the table was moved to the garage, away from prying eyes. But June-Bug always ate alone, away from the rest. Even on cold days or when the rain kept him in the barn, he ate alone. June-bug never said a word to Miss Pearl or anyone else that sat at that colored table. He was never treated harshly by the other black folk, but then again, he was treated differently, silently, and almost reverently. He was segregated from the other colored folks like they were segregated from the white folks. To Jacob, all these boundaries, which piled upon each other, were insignificant and very confusing. Jacob continued to watch June-bug as he switched to another pile. He spilt logs that were still somewhat green and tough. 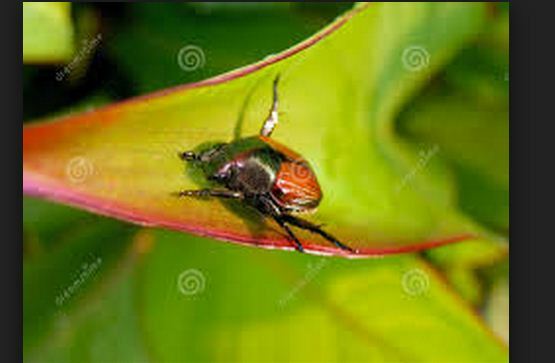 June-Bug inserted an “ummph” in the rhythm, throwing downward all his strength. The logs were heavy, knotted and not easily cleaved. Jacob picked up on the new rhythm. Before Jacob could ask for another tomato sandwich with lots of mayo, Miss Pearl bent over him and placed a sandwich on his plate. She was like that. She just knew things—common sense things that was so hard for other folks, especially white folks. Everyone knew that. And on Jacob’s birthdays, she would create for him his favorite sweet—a caramel cake, three stories high. All the colored help would sing “Happy Birthday”. Jacob was very happy to have such a large family, colored and white. They shared permanence and a sense of purpose that reassured him. The artificial separation of all Jacob’s family was a year round lifestyle. But, one Sunday every year, all of the white family went to the black church for services. The white folks made a show of the thing and presented the church with a handful of cash while standing as the tithes were collected. Jacob, as short as he was, would lean over and around to see Miss Pearl sitting in a front pew on the inside corner. She was all refinement–starched white linen with a small white hat that provided her with a white, fish-net veil. Miss Pearl was a princess among the congregation. Jacob felt such pride at her presence. She was always there with her own daughter—a wispy, thin, dark-skinned girl. She sat so stiffly, so beautifully still, Jacob thought she was a store manikin. He burned his eyes into her neck from behind, but she wouldn’t even look down, much less turn around and look at him. Jacob was sure she felt his presence. He was sure she felt his longing. She was about the prettiest girl Jacob had ever seen, from behind. Not only was Jacob conditioned to the presence of June-Bug or in love with a girl that he would never be allowed to meet, but Miss Pearl– cook, cleaner, comforter, and confidant was his touchstone. Jacob was her favorite. And he loved her like a cub loves its mother. Jacob’s mother, due to her sicknesses was absent more often than not. She had to rest in a special hospital for long periods. According to Jacob’s Father, she had headaches. She would appear at winter holidays cheerful and drunk. Sometimes she would show-up in the spring, then fall back into her slump and disappear again. Jacob noticed her absence but never missed her, simply because he didn’t know her. Jacob was completely raised by the black folks around him, day after day until they became his nuclear family. When Jacob was younger, he used to call Miss Pearl, Mama, and follow her around as she completed her chores. He clung to her apron like a praying mantis and she gracefully swirled him around the house from room to room. No one told him this was wrong. No one corrected Jacob until he was ten years old. On Jacob’s birthday, his Father told him to “cut that out” and “that’s enough of that” or “your too old now”. But, all the while risking a beating from his father, Jacob held onto Miss Pearl as long as he could. Jacob’s three sisters were older and didn’t rely on Miss Pearl as much now. They were in college or attending a private school. They appeared at the house on some weekends but ignored Miss Pearl, except to demand something. When Jacob was ten years old, Miss Pearl took Jacob aside and explained that he was older now and it was time to let go, Jacob silently cried and fumed in the barn for a few days. But it was done. It was painful to let go of her apron strings, even at ten. Miss Pearl began to clear the table and Jacob turned to locate June-bug. He pressed his face against the rusted metal screen door and scanned the backyard. The clop, clop, clop of the splitting wood gave him away. He would pause for a couple of minutes, sit down on the large stump he was using to split the wood and hang his shoulders. He took out an old, mostly yellow, handkerchief and wiped his head and face while resting. Then June-bug dropped his head for a mere second in what looked like a deep and severe weariness. This was the first time Jacob had ever seen June-bug give in to the pain, and monotony of his task. Maybe he just hadn’t noticed before. Jacob poured a glass of sweet tea and looked at Miss Pearl. She shook her head at first—taking a long look out the screen door. But then she nodded, allowing him to run out the back door. He went straight to June-bug. The weather, although fall was here, gave one last blast of a sweet Indian summer. The air wasn’t sticky but heavy with the angle of an autumn day. There was a soft, warm breeze. Jacob stopped, stood before June-bug, and waited for him to acknowledge his presence. June bug seemed reluctant to take the tea, but he slammed the axe into the chopping block and held out his hand. Jacob just stood there looking at him. His skin was blacker than the other help and the sweat running down his face made him shine like melted chocolate. His body was a machine of sinewy muscle and Jacob had no doubt he was the strongest man he had ever seen. His hair was greying at the temples and the corners of his eyes were like downy cotton. He never wore gloves. And, looking at his hands, they were as creviced as stone and looked as thick as the leather of a horse saddle. His clothes were dull and sweat-stained through and through—grey shirt, khaki pants with holes in the knees, and gigantic thick-soled boots. Because his overwhelming physical scent of sweat and wood splinters, June-bug smelt like an unknown spice. He gave off an aura of towering strength. But, despite his massive physical presence, he had an inner peacefulness and gentleness which was rare. June-bug finished the tea, handed the canning glass back, and said “Thankya Jacob”. Jacob held the glass in one hand while whirling the other arm, thinking of something to ask June-bug. He began to feel brave and curious as June-bug began swinging the axe over his head and reducing the wood into smaller and smaller pieces. He stopped to exchange the axe for a sledgehammer and a wedge of steel. He didn’t stop chopping the wood but he listened. He answered straight away as if to get it over with. June-bug stopped the chopping after slamming the wedge into the stump. He looked at Jacob with deep yellow eyes full of experience that he couldn’t understand but could clearly see. June-bug sat back on the stump, wiped his face again, and stared at me dumbfounded. Jacob had no idea what or where a Harlem was in the world. He assumed it wasn’t far off. “That be where my girl at too.” He said this with a gap-toothed smile. June-bug straightened up and stared at the ground. “Why don’t you take the train or drive…or even fly?” –a preposterous question Jacob would come to learn. June-bug smiled at Jacob, stood up and held up his arms to the sky. He flapped his arms like a bird trying to get airborne and laughed looking up at the sun. Jacob took the glass back to Miss Pearl. She patted his head and whisked him out of the kitchen, smiling. That night sleep didn’t come until late—not until the sound of splitting wood was long gone. Jacob thought about June-bug and what he had told him. In his mind, the whole of what June-bug told him didn’t make much sense. Why stay here when your family is elsewhere? And, why not associate with the other black folks? Outside the window, the sweaty southern air spewed out a few lightning bugs and Jacob counted them until he slept. When Jacob woke the next morning, the silence was noticeable. He didn’t hear the usual chopping of wood. Jacob stared out my window looking for June-bug but he was not there. Miss Pearl called him for breakfast and he got dressed into the clothes she had laid out for him. Jacob went downstairs to the table on the back porch and saw his father sitting at the table cleaning a shotgun. He didn’t acknowledge Jacob at first and so he ate eggs and bacon in silence. “Today is the day you learn how to shoot.” He finally said. He looked at Jacob while wiping down the barrel of his twelve gauge shotgun. Then after brushing back his oily black hair, Jacob’s father reached down and brought out an old single barrel shotgun. He laid it across the table while Miss Pearl cleared the dishes. Jacob’s father was normally not present during the day to day running of the house. His presence in the house was unusual. Normally Jacob would go weeks without seeing him. That was fine with him. He was afraid of his father and his temper. Many times Jacob had been slapped for leaning back in a chair or punched in the arm for being late for dinner. Jacob’s father hurried his polishing and handed him the first fire-arm he had ever held. It was long and bluish and had a lever to open the barrel. It seemed like an alien appendage was extended from his small, thin body. The weight of the shotgun was balanced at the center and Jacob held it in one hand. It was cracked open like a broken branch. Then his father, with a heavy hand, set four shotgun shells in front of him, on the table. “Ok.” Jacob scooped the shells up and put them in his pockets, two on each side. Jacob felt older. He felt like a member of an exclusive club. Miss Pearl looked at Jacob, shook her head, and turned back to the kitchen when he gave her a grin. Jacob’s father, in rare feat of indulgence, took him outside to teach, his only son, the way of the gun. He took the shotgun from Jacob, popped it open, inserted a shell, and closed it. He pointed to a direction away from the house and toward the rising sun. Then he handed Jacob the shotgun. He took it from him easily enough but learning how to hold it against my shoulder was difficult. Jacob held it toward the sun anyway and pulled the trigger. It wasn’t so bad. The noise was less than he had imagined and the kick to his shoulder wasn’t much to speak of. As Jacob opened the shotgun, the empty shell popped out and made a hollow sound. It was the sound of loss, inevitability, of fate, and age. After the lesson from his father, a truck pulled into the drive and rolled along the gravel, crunching to a stop beside us. It was the Peebles green truck and June-Bug was in the back, sitting on a wheel well. Jacob’s father went in the house, grabbed a bottle in a paper bag from Ms. Pearl. He slammed the screen door as he came out and got into the truck cab with Mr. Peebles. Jacob climbed into the back with June-Bug and sat on the other wheel well. He showed June-bug the shotgun but he just nodded. Jacob noticed that June-bug didn’t have one. The Peebles farm, while not far down the road, was an enormous amount of tilled and turned land with fields denuded of any crops or foliage. The harvesting was over and the fallow season of fall set all that land into one big grey landscape. The dirt turned with row upon row curving with the natural terrace of the earth. Ragged short stalks of dying corn and tobacco lay down in a pattern. This flattening added to the isolation of the fields, looking like rows of dead soldiers. Jacob had seen a similar pattern on TV from a place called Vietnam. Jacob, his father and June-bug were met at the farm, beside the barn, by a troop of his father’s cronies. They were laughing and passing around a rolled and withered paper bag which he knew was liquor. Jacob’s father, carrying his enormous shotgun and two shooting vests, turned toward him and tossed him a shooting vest which hung like a scarecrow’s shirt on his shoulders. He went to the opening of the barn, stuffing shells onto his own vest’s bandolier and burnished his own bottle. The cronies erupted into laughter and passed around the bottle again. June-Bug and Jacob exited the truck bed and leaned against it watching the older white men get drunk. It seemed that this drinking, laughing and back-slapping was something like a ceremony or a pagan ritual. June bug and Jacob, ignored their ritual, and stared at the sky for doves. The morning was colder than the day before and before long we were shivering. The low-hanging sun was orange and sat upon the trees, providing little comfort. June-bug handed over an oversized coat from the truck bed and grabbed himself a blanket and a long forked branch with leaves like wings. “What is that for, June-Bug? June-Bug turned to Jacob, shook his head, and looked over at the white men. Jacob stared June-Bug down and he relented. Jacob’s father called him over to the barn opening where they had started a fire in a trash barrel. He welcomed the warmth but looked back at June-bug. He remained against the truck and no one called him over to the fire to get warm. He held his position and brandished the tree branch in some exercise to fan the air. Jacob’s father, already somewhat drunk, joked around with his buddies. The bottles were passed around, even to Jacob. He tried to swallow the brown liquid but only managed to cough and spit. His eyes watered and his breath felt like the devil’s own. Soon they finished one bottle and decided that it was time to start their hunt. With June-bug and Jacob following close behind, the men crossed a long narrow field left to regenerate for the next growing season. All made their way toward a larger field which, despite its emptiness, gave off a fecund scent of wildflowers, rich dirt, fertilizer, sweat, and slow death. There were traces of felled animals and occasionally they ran across an empty shotgun shell or shell casing from a rifle. June-Bug and Jacob followed until they stood in the middle of a field that seemed to run forever from East to West. The ground was turned which gave furrows in the soil for the doves to congregate. The hunting party stopped and Jacob heard the men talking quietly ahead. They called June-bug forward and Jacob watched them point to him and then toward the east into the red sun. June-Bug took off, waving the long branch in the air, back and forth, scaring up the birds, which were startled into a low, short flight. Jacob’s father called him forward and the smell the alcohol on his breath was imposing. He told Jacob to go left and flank the doves. He went on and on into that field, tripping over rows, looking more at the ground than at the sky where the flutter, warbles, and coos of the dove were apparent. Soon all of the hunters and June-bug were out of sight and sound. Soon Jacob heard nothing but the calls of the dove and his own feet trudging across the uneven field. He went on and on into the sun until he was sure that he was lost or abandoned. Then he heard the pop, pop of the shotguns and flocks of dove were driven toward him, skipping across the sky and all the while complaining with their noises. Jacob found a good row to stand in, lifted his shotgun to the sky and waited. Soon the pop of the shotguns began in staccato and he could hear the doves coming his way. Jacob waited for them, raised his 410 to the sky, and pulled the trigger at the first dove he could see. Click. He had forgotten to load the shotgun and the absence of sound startled him. This time he loaded the shotgun and waited with the barrel more or less pointing to the right of the emerging sun. When he heard the shotguns in the distance, he readied myself, held firmly, and scanned the sky. Jacob hardly had a glimpse at the dove that passed his way and concentrated on their frightened warbling. He closed his eyes and pulled the trigger. The sound of the shotgun was weak and bounced so slightly off the ground. When he opened his eyes, the sky was clear of doves and quite surprisingly a single grey dove fell at his feet. Jacob picked up the dove and looked him over only to be horrified at his stillness. His head rolled around. His eyes were closed and there was a solitary bead of dark red blood under his belly. Jacob felt sick and proud at the same time. And, bird in hand, Jacob half-walked, half-ran towards where he thought the other hunters were clustered. He thought to himself that, finally, he could please his father. But, again, the still warm, lifeless bird which he had murdered was weighing down his hand and freezing his arm into a position far from his body. He held the bird as far from himself as he could and watched its head bounce while hurrying to the others. Then, as if the sky exploded with thunder, the men’s shotguns discharged almost simultaneously. The pop and crack of the 12 gauge shotguns went on for what seemed eternity, but he knew it could not have been more than a few seconds. Jacob followed that sound wondering if they had shot dozens of dove or perhaps had taken aim at a deer wandering the edge of the field. The field grew silent except for flocks of birds swirling around the low sky, finding a safe place to rest and hide. As Jacob walked toward the west end of the field, he could smell the cordite in the air. Eventually, he noticed a trail of small grey expired bodies of doves, lying haphazardly across the choppy soil. Many were splayed outward, their downy bellies plump and bloody, their wings spread in flightless solitude. Jacob followed the bodies toward the men and eventually saw his father standing in a circle with the others. His right hand was holding his shotgun toward the ground. The rest of the men were still as well and pointed eastward under the new sun, shuffling, and shaking hands. As Jacob approached them, their eyes followed him until he was close enough to smell the alcohol. Feeling excited and guilty, Jacob held out his meager offering of the dove he had killed. His father, looking a bit ashen and agitated, walked toward him, looked at the dove he carried, grabbed the bird and put it in Jacob’s vest pocket. The rest of the hunters looked at him but spoke in hushed tones, shuffling their feet and stomping the soil to keep warm. Jacob looked around for June-Bug. The party seemed to be finished hunting. Their shotguns looked as if they were still hot to the touch because of the way they held them at the stocks and waved them slightly back and forth—trails of white wispy smoke sneaked out of the barrels. Having no sign of June-Bug, he looked eastward toward the sunshine where he had moved waving the branch and yelling to stir the doves. Jacob almost dropped his shotgun and felt a disgust that turned his stomach. All around in a semi-circle there were dozens of dead and flopping, half-dead birds trying to resurrect themselves. His father smiled. He waved his hand, back towards himself, and indicated for Jacob to join him in that circle of destruction. When Jacob stood beside him, he looked down and sighed and took a swallow out of a brown paper bag. At that point, Jacob just knew something was wrong. He threw down the shotgun and took off across the field, zigzagging, stumbling and ignoring the shouts from the men that were standing so close to each other that they looked like one big stump. He ran as quickly as he could and looked around for anything that would assuage his fears. Jacob stopped at a point just a few yards from where he had started, and slid in a deep row full of grey soil. He saw him. June-bug lay on his side with legs together and arms folded into him. He looked like a still born child, peaceful and gathered up, never having experienced life. The long winged branch was lying perfectly beside him as if it was a staff used for walking. He could tell June-bug was dead by his colors—red and ash. Jacob touched his head, looked at his bloody wounds which dotted his old blanket, and lay down beside him. And, despite the fact June-bug could not see or hear him, Jacob talked to him about his Harlem, his girl, his brother, and told him that he would not be able to sleep now that he would never chop wood again. There were doves settled and still, walking and cooing around them and after some time they flew upward and bent sideways and then up and away again. Jacob asked June-bug to forgive him for being so young, and for being so ignorant. He could only stroke his dull head, pick the burrs out of his hair, pull the blanket around him and finally close his eyes for him. They lay together for some time until the men brought along the shovel and the pick axe. Jacob looked up at them from the dirt and hated for the first time in his life. Miss Pearl always told him not to give in to hate but it was there, in him, and around him, and it felt good. When the clump of drunken men called Jacob up from the ground and pushed him back, he felt empty. The hatred he felt turned into a void, a deep well in which he stood alone. Jacob watched as they dragged June-bug by his feet over to the side of the field and laid him sprawled out like a gutted deer. He could do nothing but pick up June-bug’s dirty, red-stained blanket and carry it over to where they were taking turns digging a shallow grave. They cursed and argued with each other, throwing the pick axe out of the hole as another’s turn came around. Jacob was pleased at their anger. Their cursing at each other was a song. Finally, as they began to cover June-bug, Jacob laid his blanket on top and watched with all his might. The final shovel full of dirt covered him and erased him from Jacob’s life and the world. Later, as they rode back home, Jacob and his father sat in the back of the truck. He gave a lecture on the dos and don’ts of what had happened. Jacob could only stare and nod. Jacob said nothing and was red-faced out of shame. Miss Pearl, bright as always, engaged him as she had done his entire life, but he could not reply. He could not play along. He avoided Miss Pearl. He avoided everyone. The following Sunday, Jacob’s father rose with the sun and yelled into each room for them to get ready for church–the black church. He panicked at the sound of his Father’s voice, recalling the monstrous deed which his buddies and he had perpetrated on June-bug. As he got dressed into a light-blue linen suit, he found that it didn’t fit as well anymore. The collar chaffed, the sleeves were short and the pants legs were too far from the ground. Maybe it had been like this for some time but he had never noticed the fit before. After dressing, he sat on the bed looking out the window at the abandoned wood block where June-bug had swung his life away, far from those he loved. Before Jacob could get up to go downstairs, his father, dressed in all black, handed him a new suit. It was deep black with a shiny black tie. He undressed and put on the black suit which was the opposite of his cheerful light blue suit. It was large in the collar, the arms hung almost to his knuckles, and the pant legs dragged the floor. The black tie was shiny but wide and knotted his throat stiffly. Jacob thought to himself that perhaps he would be wearing this suit for some time to come. It occurred to him that perhaps there were more deaths to come. While driving to the church, Jacob eyed his sisters. They were all in black as well with shiny black ribbons in their hair. His mother was nowhere to be seen and he guessed she was back at the hospital. Although, it worried Jacob that she was absent. Was he ever to see her again? Was she gone like June-bug, never to return? The black church, the First African Episcopal, was a thinly boarded and whitewashed rectangle with an enormous alter. The choir, the deacons, the organist and the preacher all occupied the stage, sitting in silence, hands in laps and looking stern and straight ahead. Miss Pearl, sitting on the front row was dressed in a crisp black linen dress, ironed perfectly with a matching hat. It had black beaded, pearl looking pins. Jacob couldn’t see her face as she was on the front row and sat calmly facing the speaker stand without the slightest movement he could detect. After they sat, and Jacob took the outside end of the pew, he noticed the same dark colored girl sitting on the front outside pew directly in his vision. She sat beside Miss Pearl and her shiny black dress was like a sliver of obsidian. As always, he stared at the girl’s neck which was exposed doe to her neatly plaited hair. He stared at her neck until the choir began to sing and then she turned, stretching her neck and shoulders, and gave him what he assumed was a look of disgust and hatred. Her eyes squinted and she jerked her head back around looking up at Miss Pearl. The service was a muted event with unfamiliar hymns and a lesson from the Beatitudes. “The meek shall inherit the earth” was one of the only passages from the bible that Jacob could recall despite years of compulsory bible school. The church became stifling inside. It was packed with people. The preacher, who by this time was soaked in sweat, paused and then recited Matthew 5:21 as an admonition and warning. When the tithing came, at least four white men stood and held out fistfuls of crisp one hundred dollar bills. Jacob’s father stood as well. He held his arms upward with the money waving. These were the men who had killed June-bug. Jacob felt like standing as well and pointing at the men. But he sat on his hands and looked downward. The church erupted into applause as the white men dropped their blood money into a brass and velvet pan passed back and forth among the congregation. After all the men had been seated again, the reverend accepted the tithes and sent the choir into a cheerful hymn that was so out of place. Jacob covered his ears. The white folks sat in the back and were among the first to leave the church. After ditching his father and circling around the emptying pews, Jacob caught a good view the young girl who sat beside Miss Pearl. Her face was framed by carefully plaited hair, thin shiny black eyebrows and high cheek bones that were all the more attractive because of her perfect white teeth and linen dress. Jacob strained his eyes, stood on a pew, and generally made a nuisance in the church just to get that one glimpse of her. She was the only reason that he never complained about going to the colored church. And, in her face, Jacob could see the slightest but definite similarity to the face of June-bug. In her eyes he could see nothing but fear, hatred, and a smoky sense of welling retribution. Jacob knew that fear and that hatred. He knew that recompense, that reckoning would come one day. It would come some day when no one expected. She would get her justice and more. Jacob would be waiting. When, at last, they arrived back at the house, Jacob found the hunting clothes and the 4-10 shotgun. He took the shotgun and the shooting jacket from his dad’s closet and carried it outside to the place under the Pecan tree where June-bug had chopped wood. Inside the jacket was the stiff carcass of the dove that he had killed. Jacob had forgotten it. He pulled it out of the pocket, laid it aside and dug a small grave with his hands into the dark soil. When the hole was large enough, he laid the dove inside and picked up the shotgun. He smashed it with June-bug’s axe and laid the pieces in the ground beside the dove. Jacob covered the bird and the shotgun, stamping on the dirt to pack it tightly. He tried to clean his hands all along the pants of the new black suit. When he touched his face, he noticed tears which he darkened with the dirt on his hands. Later that day and confronted by his father, Jacob lied. He told him he had no idea what happened to that shotgun. It was a mystery. His father was furious. He undid his belt and swung it once, but he stopped and reconsidered. He said that he had work to do. Soon after, Jacob could hear the distinct sound of wood splitting. Jacob ran to the back windows of the porch and saw his father chopping wood, clumsily. His father rubbed his gloved hands and swung the axe, just missing his toes. Jacob smiled. He had learned the power of a secret—the power of a deep, reticent justice. He wouldn’t touch him again. Jacob felt hollow inside but also free. There was nothing left in this world to fear. Nothing at all. Life is complicated, and brutal, and occasionally precious. Well told story about good and evil.